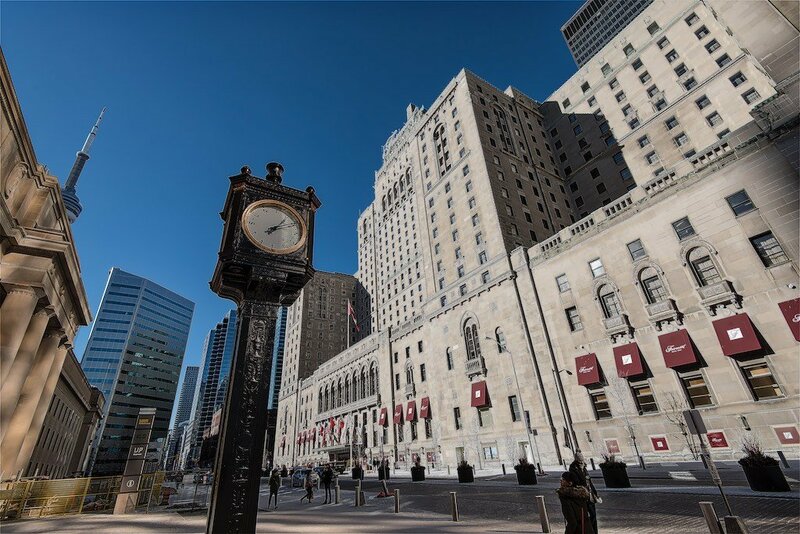 Opening on June 11th, 1929, the Royal York Hotel, with 28 floors, was the tallest building in Toronto and the British Empire at the time. One year later, the hotel lost this distinction to the 34 floor Canadian Bank of Commerce tower known as Commerce Court North today. It’s architectural styling is that of a grand chateau. 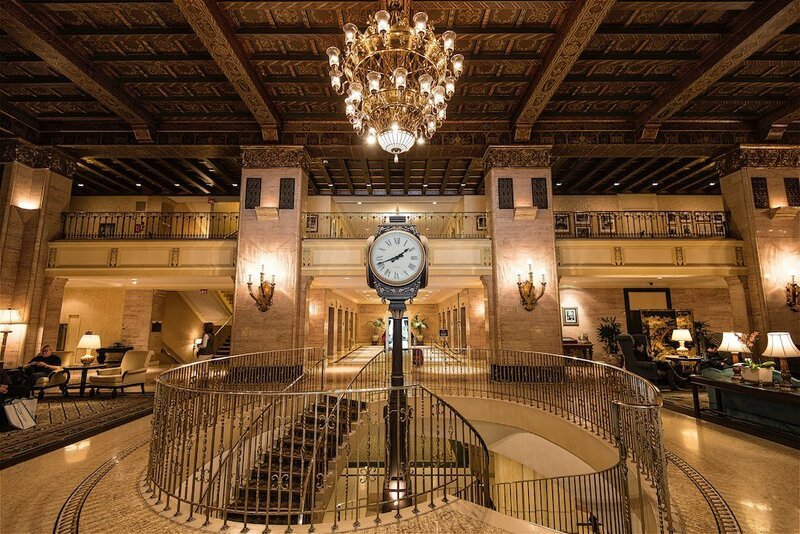 The lobby of the hotel is stunning with elegant restaurants, bars and spiral staircase which leads to the lower level. The lower level is connected to Union Station as well as Toronto’s underground PATH network. 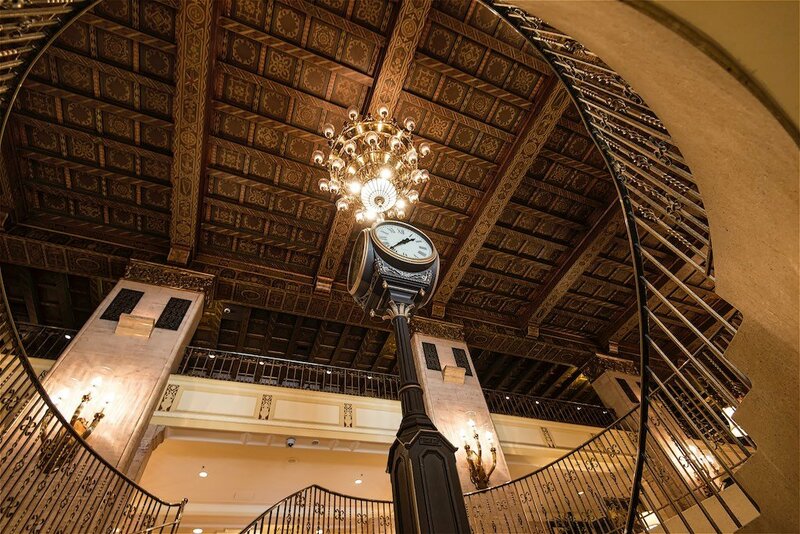 When the building was completed in 1929, it was known to be a state-of-the-art hotel at the time. The building’s 10 elevators serviced all 28 floors and rooms were fitted with bathtubs, showers and radios. It originally had 1,048 rooms and in 1956 to 1957, another wing was added to bring the room count to 1,600. The original telephone switchboard was 66 feet long and was serviced by 35 operators. One of the hotel’s more impressive features is the 500 seat Imperial Room located on the main floor. Many notable musicians have performed here, from the 1940’s to the 1990’s, including Marlene Dietrich, Tony Bennett, Liberace and Tina Turner. The Imperial Room closed down in the 1990’s and was renovated and is now a large ballroom primarily used for private functions and corporate events. The hotel is the favorite place to stay for Queen Elizabeth and other members of the Royal Family. An entire floor is reserved for her and her entourage with the Queen staying in the Royal Suite – being 500 square feet. 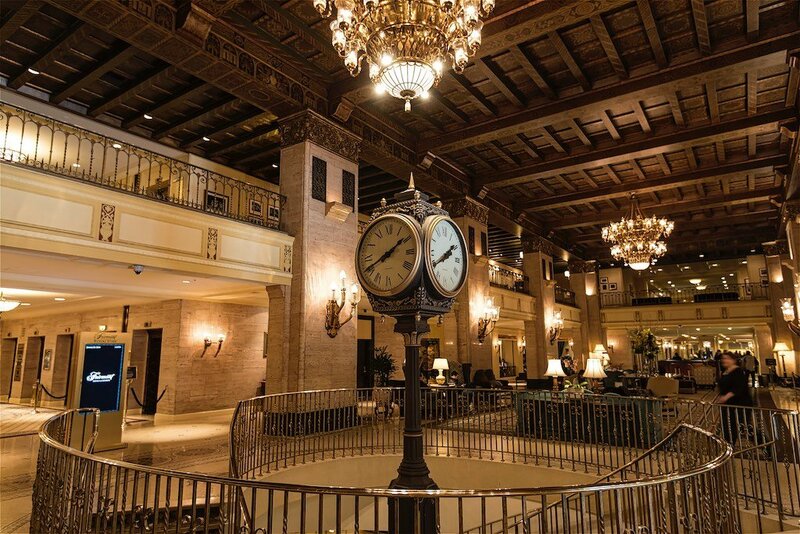 It is said that the hotel is haunted with the main ghost being a former employee who hanged himself in a stairwell on the 19th floor. Rates start at just over $700 per night – with hauntings being an extra fee. 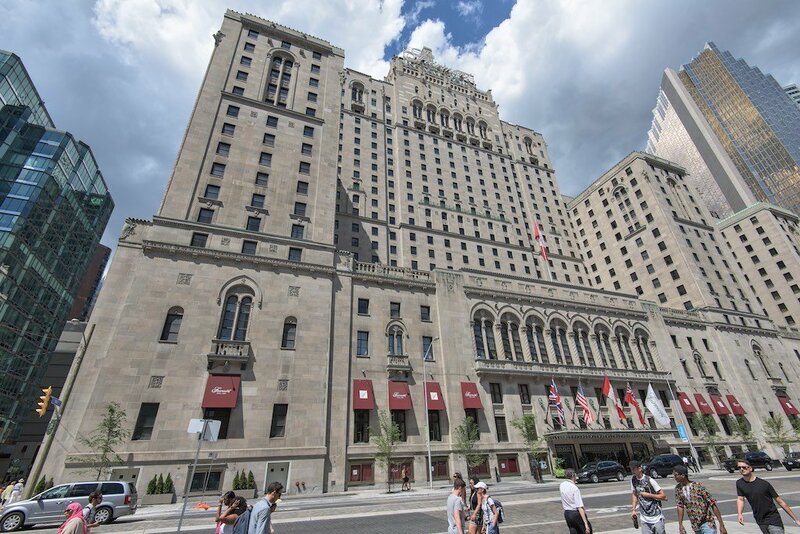 This entry was posted in Architecture, Fairmont Royal York Hotel, Hotel, Toronto and tagged architecture, Fairmont Royal York Hotel, hotel, Toronto.